The GT-R NISMO is the pinnacle of the GT-R range, a high-performance race car for the road which takes the very best of the super-coupe’s legendary Japanese heritage, then enhances the iconic design and state-of-the-art technology even further. Power comes from a twin-turbocharged 3.8-litre V6 delivering 600PS – 30PS more than any other car in the range. The engine features a pair of high-flow, large diameter turbochargers used in GT3 competition, and power is sent to all four wheels via a six-speed dual-clutch paddleshift gearbox. 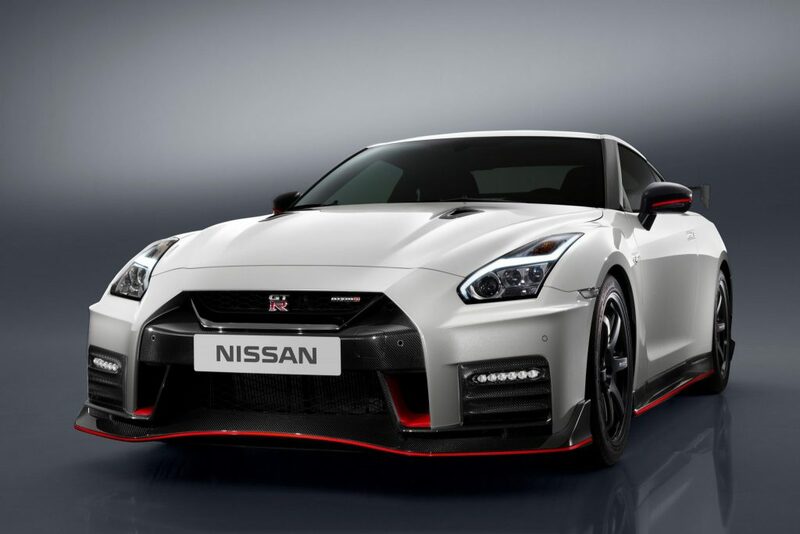 The GT-R NISMO costs €184,950 in Germany and France, and £149,995 in the UK – the model’s three key markets in Europe. Prices in other countries may vary slightly. Like the standard car, the GT-R NISMO’s front end features a fresh face with a dramatic new bumper. However, on this model it’s made entirely from carbon fibre to reduce weight. To help cool the car’s high-output engine, the dark chrome V-motion grille has been enlarged to collect more air. The redesign has been carefully shaped to improve airflow around the vehicle and generate a high level of downforce, while at the same time directing air around the wheels to improve the aerodynamics. The GT-R NISMO generates more downforce than any other Nissan production car to date, which results in exceptional high-speed stability. The performance of the all-wheel-drive GT-R NISMO has also been upgraded, thanks in part to the standard model’s significantly reinforced body structure. This allowed the engineering team to further refine the GT-R NISMO’s shock absorbers, springs and stabilisers. When combined with the car’s increase in downforce, the result is the most dynamically capable GT-R NISMO ever. This is evidenced by the car’s improved slalom times and superior cornering performance, both of which are nearly 2% better than the previous version. Despite its more potent nature, the new GT-R NISMO boasts better overall balance than before, evolving into a car that can be enjoyed on both winding roads and race circuits. A more premium and sophisticated interior is one of the key enhancements to the new GT-R, and the NISMO version is no exception. The redesigned dashboard, steering wheel and centre armrest are covered with high-quality Alcantara® leather. Unique to this version are the leather-covered Recaro® carbon bucket seats with red Alcantara® inserts.